Against the 49ers in game one of the season the Cowboys did look bad, but there were a lot of factors that played a role in their putrid performance. Defensive tackle Henry Melton wasn’t playing every down (he still isn’t but it has increased), defensive end Anthony Spencer wasn’t active, cornerback Orlando Scandrick was suspended, Rookie defensive end Demarcus Lawrence was inactive and more importantly quarterback Tony Romo wasn’t quite ready for game action. As a result they got smashed and people were quick to press the panic button. If you paid close attention to that game you would’ve seen a lot of things. For instance, you would’ve noticed how they were dominating the line of scrimmage offensively; how they were effectively running the football; how they controlled the tempo of the game despite turning the ball over and how they minimized giving up the huge plays that plagued them last year defensively. Add all of that in along with that fact that guys were going to be coming back from injury and you had a reason to feel optimistic about how good this team could be. I penciled that debacle against San Francisco in as a wakeup call for the offense. And stated that from that point forward everyone was going to have a tough time stopping the Cowboys’ offense. Seems to be right don’t ya think? The Cowboys followed the 9ers loss with a 28-17 win over the Titans, a 34-31 come from behind win over the Rams, a 38-17 rout over the Saints and a 20-17 overtime victory over the Texans. 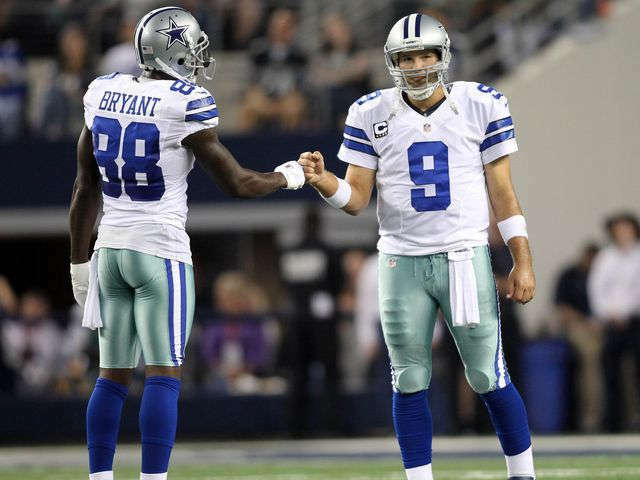 After winning four straight, with Romo getting healthier and various defensive guys coming back, people still doubted. Even at 4-1 people were still on the fences about whether or not this team could play. Week six against the Seattle Seahawks in Seattle was supposed to be the game that brought the Cowboys back down to reality. Instead it woke up the whole globe. In a game that many thought was impossible to win the Dallas Cowboys went in and dominated the Seahawks in every aspect of the game. 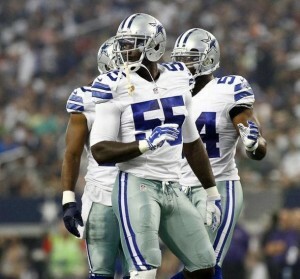 Seattle couldn’t stop Murray and Romo tore apart the defense when he needed to. The defense contained Lynch to an extent and dared Wilson to beat them with his arm. The Cowboys won that game 30-23 in what didn’t appear to be as close as the scoreboard may allude one to believe. After that shocking victory the Cowboys made believers out of a lot of people. Analysts were calling them the team to beat. People were penciling them in for the Superbowl. And fans were in a frenzy. But even with that a few people were still a bit leery. Some experts wanted to see them win the next game to see if they could continue playing well after pulling off an upset. Like all streaks the Cowboys’ 6-game ride came to an end. They lost on MNF to the Washington Redskins who had Colt McCoy playing QB 20-17. Romo injured his back that game and the coaches made a poor decision, which to some people came to be the fault in why the Boys lost. Win or lose, Tony Romo was injured and things didn’t look good going forward. The next game on the schedule was against the Arizona Cardinals where Brandon Weeden had to start at QB. The Cowboys competed with the Cardinals for two and half quarters until finally giving in. Weeden couldn’t make the appropriate throws and Murray wasn’t getting much traction on the ground. After playing inspired ball at first the defense started to fold as they saw the offense failing to convert their stops into scores. The Cowboys fell to the Cardinals 28-17. Thus embarking them on a two game losing skid. 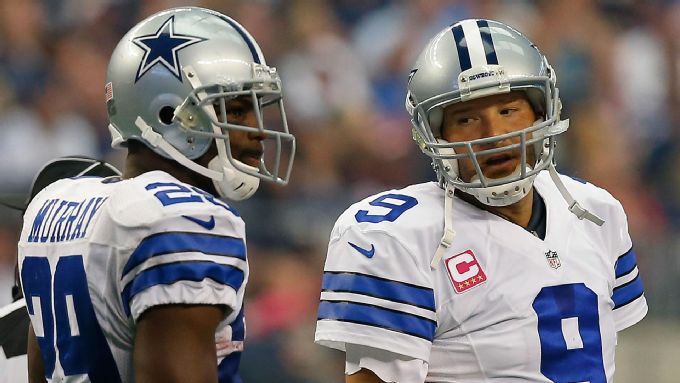 Losers of two straight and with an injured Romo many thought the Cowboys were done. 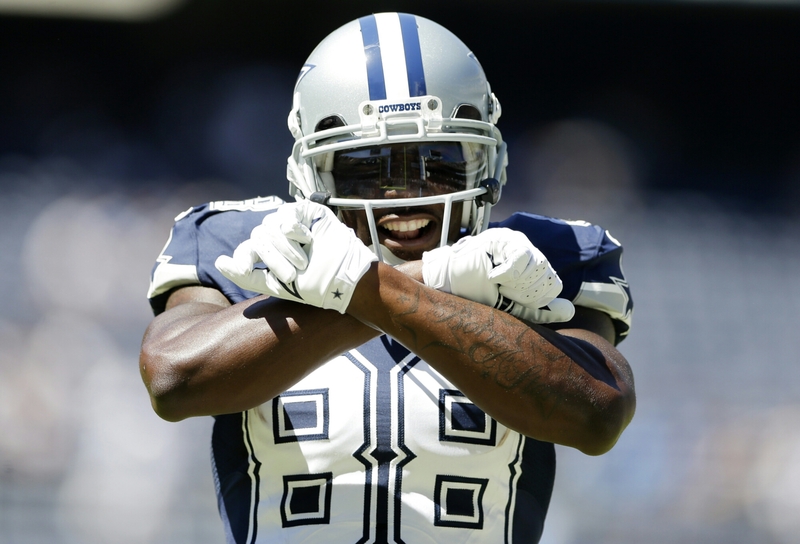 Everyone but the Cowboys that is…. They flew to London to play a game against the Jaguars. Feeling very good about their chances. Some analysts, on the other hand said they would falter with or without Romo, while others stated they’d win the game regardless of who played QB. In what was deemed as a “Must Win” game Tony Romo came back from injury and led the Dallas Cowboys to a 31-17 victory over the Jags. (The game was pretty much won at halftime.) The Cowboys were then 7-3 heading into their bye-week with time to rest, heal and regroup. Fast-forward to now and here they are sitting at 7-3 tied with the Philadelphia Eagles for the division lead. As cliche as it might sound the Cowboys once again control their own fate. Philly is dealing with a QB crisis with Foles being out and Sanchez in. The Giants are bad and the Redskins are god awful. With that being said it’s their division to lose. The four games on the road may sound alarming, but the Cowboys are currently the only team undefeated on the road to this point. And if we’re being honest three of those games are against teams who aren’t .500. And now that they’re no longer that prolific offense that tries to put up points and rely heavily on Romo’s arm , this team has a chance to change some of the December misfortunes that have hampered this team as of late. With their physical, smash-mouth style of play the Cowboys should be able to win alot those games that should be played in cold weather. With Romo getting healthier, Murray eager to close out the season, Dez becoming a prominent force, and the defense picking up it’s play as well as getting healthier this team should be ready to go. The image changing starts now. Is the schedule favorable to them? Yes. But that doesn’t/won’t mean anything if they don’t go out and seize it. They have a chance to do something that hasn’t been done in years and that’s getting to the playoffs. We can talk about what they can do once they make it there but until then it should still be the one game at a time approach. Day by day. Week by week. No looking ahead. If the Cowboys can follow this motto faithfully they’ll achieve their goal. Baby steps first. And then you’ll be able to stride and run. Do you really think they have chance to break the streak of falling apart? The Cowboys have been below par for so long that it would surprise me if Romo doesn’t throw a pick to lose in the first round of the playoffs.